Not feeling up to par for spring hiking? Maybe you've been out of the game for a while, or perhaps you just took the winter off? Whatever the reason you can always get yourself ready to hike the trials. It’s tough to climb a High Peak right out of the box, it can be done, but after a bit of a hiatus it may not be the pleasurable experience you pictured. Like the old cliché, “Don’t jump in with both feet,” maybe just get a big toe wet at first and then work on the rest of that foot. Choose a trail that will get your heart pumping and the blood flowing with a steady pace that isn’t too steep. Start with moderate distances and work your way up, then as you keep progressing look for slightly tougher climbs, or continue to use the same trail until you feel comfortable – the Whiteface Region has plenty to choose from. To start you off slow and easy try a visit to Owen, Copperas and Winch Ponds. These three backcountry jewels can offer a couple loop options. If you start from the Owen Pond side, which is the southern trailhead, you can have a more gentle approach the ponds. The northern trailhead gets you climbing somewhat steeply out of the gate - so keep that in mind. Maybe even try the southern trailhead first and then on day two go for the northern trailhead to mix it up a bit. A lean-to on Copperas Pond provides an excellent location for a bit of a break. This somewhat secluded peak hike gets its share of visitors, but not as many as you might think since you have to know it’s there — so now you know. Located at the Flume Trails off Route 86 between Wilmington and Lake Placid, you will start by using a network of mountain bike trails. These mountain bike trails are nice to walk on or maybe even try a nice trail run as I mentioned earlier. The Flume Knob Trail is not open to bikes and is located at the back end of the trail system; signs will lead you to it. Once you leave the mountain bike trails you will start a somewhat steep climb, but by now your legs should be warmed up a bit to be able to take it on. There are nice views along the way, but the open rock atop the knob is stellar and steals the limelight. Bear Den is the sister of Flume Knob, which can be accessed from the same trailhead, but it is much better to access it from the Bear Den parking lot at the Whiteface Mountain Ski Center. The trail is very similar to the Flume Knob. It starts along the mountain biking system and is a gentle hike to the base trail. The steepness of this trail is similar to the knob, but its shorter sections allowing for periodic breaks. The summit of this small peak is as a High Peak would appear if you were on it. Open vistas, loads of open rock, and a cool breeze to cherish. Short and steep is the story of this hike. This trail can be found off the Whiteface Memorial Highway at the Atmospheric Science Research Center. There is a short descent to the base of Marble Mountain at the bottom of an old ski tow route. The climb then is steady and what some might call a constant steep. The grade is very consistent as you might imagine for a T-bar lift. After a steady climb of about a mile you will think you are on a High Peak, but in fact only part way up one – Whiteface Mountain. This destination offers great views out over Wilmington and is good enough terrain to get the heart pumping and the calories melting off. Maybe push yourself a bit and try, over time, to climb the entire slope without stopping. Climb this mountain twice and you will have a very good workout in and still have time for a healthy lunch. Jay Mountain as you may have figured out is located in the hamlet of Jay. 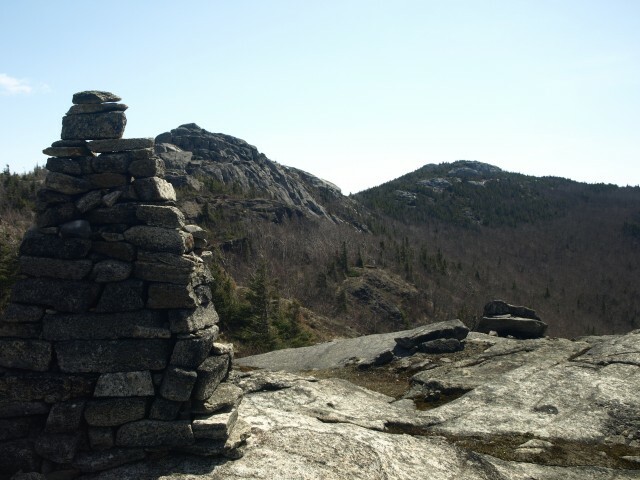 This trail offers outstanding consistent climbing with the undulating summits along a bald ridge. From the trailhead you will start climbing moderately right away, getting the heart pumping in a good way. Go at a slow steady pace, don’t overdo it right away, you have a long trip to enjoy and this hike is much longer than those mentioned above. The trail will consistently climb at a moderate pace with smaller sections of steeply graded pitches. Once upon the ridge the trail continues to follow the long ridge as it goes up and down over several open summits before it reaches the highest point at the very end. There is a small bit of scrambling in a couple sections which slightly slows down the consistent pace, but this will work different muscles. Don’t forget your camera on this one, it is an absolute gem! Have I got your wheels turning yet? Want more? 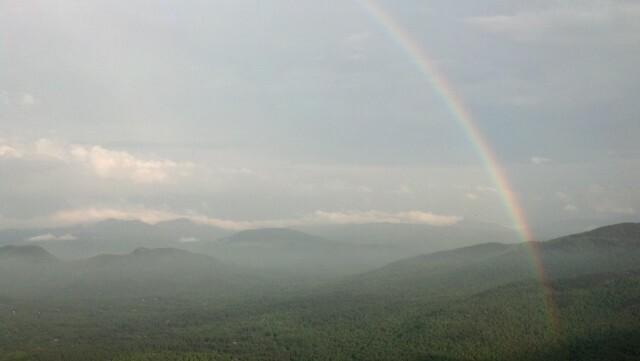 Check out what other hiking trails are in the Whiteface Region. Want to grab a healthy meal after doing so many miles? Wilmington has just the ticket for that healthy appetite as well.